This Norton is advertised on the internet on a website that specializes in Harley Davidsons, perhaps in Greece. 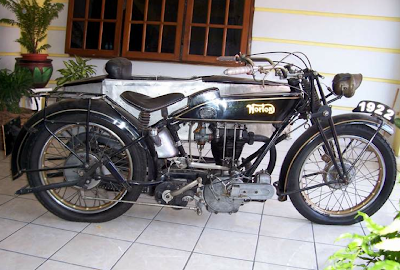 It's described as a 1922 model but the frame looks 1929-1930 to me, the engine a bit older while forks and front wheel are WD16H. It looks awful but it could be rescued I guess.